Dr. Reid earned his Doctor of Medicine with honors at the University of British Columbia. It was while attending UBC that he discovered his passion for plastic surgery. He was drawn to the creative and detail oriented nature of the work, and the often dramatic results that leave patients feeling better about their bodies and themselves. At the University of Calgary Reconstructive and Cosmetic Plastic Surgery residency program, Dr. Reid received world-class training in surgery of the face, breast and body. After completing his residency and fellowship examination in 2008, Dr. Reid was awarded a Specialist Certificate in Plastic Surgery and joined the Royal College of Physicians and Surgeons of Canada. With his training complete, Dr. Reid returned to the Vancouver area to accept a staff position in the Division of Plastic Surgery at the Richmond Hospital. While in practice, Dr. Reid has developed a sub-specialty interest in body contouing surgery and more specifically its role in the treatment of massive weight loss patients. ( Dr. Owen Reid, Plastic Surgeon, Richmond, BC ) is in good standing with the College of Physicians and Surgeons. The speaker in the video may have no association with ( Dr. Owen Reid, Plastic Surgeon, Richmond, BC ). ( Dr. Owen Reid, Plastic Surgeon ), may talk about some of the conditions and some of the treatment options shown in the videos on HealthChoicesFirst. 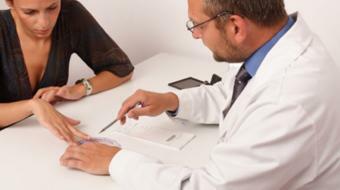 Always talk with your health care practitioner about the information you learnt from the videos in regards to treatments and procedures the healthcare practitioner could perform and if they would be appropriate for you. Remember good information is the corner stone to understanding your condition or disease. Please contact ( Dr. Owen Reid, Plastic Surgeon, Richmond, BC ) to enquire if this health care provider is accepting new patients. 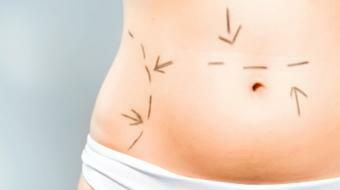 Dr. Owen Reid, MD, FRCSC, Plastic Surgeon, discusses Post Weight Body Loss Contouring. , posted in: Post Weight Loss Body Contouring " Sunita is a 38 year old woman who has lost more than half her body weight "
See the whole conversation: Post Weight Loss Body Contouring " Sunita is a 38 year old woman who has lost more than half her body weight "
Dr. Owen Reid, MD, FRCSC, Plastic Surgeon, discusses who would be a candidate for Post Body Weight Loss Contouring. Dr. Owen Reid, MD, FRCSC, Plastic Surgeon, discusses the importance of planning when considering Post Weight Loss Body Contouring. 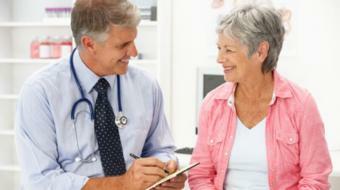 Dr. Owen was very professional and knowledgeable. I had an excellent surgical experience with Dr. Owen and feel very confident to recommend him to other people if you are looking for any kind of plastic surgery. Recently saw Dr. Owen Reid a Plastic Surgeon in Richmond for some body contouring after bariatric surgery. Very professional and gave me great information upon my options. I would recommend DR Reid to anyone looking to have this operation done. If you’re looking for Severe Burn Treatment and Management, you could consult with a plastic surgeon for skin grafts, tissue expansion and microsurgery. For plastic surgery options, contact a local Plastic Surgeon in Richmond, BC, such as Dr. Owen Reid.